I kind of fell off the blogging bandwagon at Christmas when all the week before Christmas planning got too much (and I broke a nail). Then came a holiday, a few birthdays, including mine and our first ever kids party, a new computer, some more bad nail breaks and more recently a few new additions to the family. The biggest hold up to my blogging was the new computer. I upgrade my computer every few years but this time it's a whole new machine not just an upgrade. We started the build in August and it's still not finished. Installing and registering all my software again has been a pain and I still can't find all my original installation disks/files :( I've now got the computer to the point where I can get photos off the camera and run them through photoshop and lightroom but the photo card reader is sticking half out the front of the computer because when we put it in correctly it loses power and I have 4 hard drives sitting on my desk which wont fit in this machine. One will be swapped with a smaller drive and the other 3 I need to copy across somehow. I already have 5 hard disks installed, about 7.5TB. So now I have a huge backlog of photos to get off the camera and sort through for blogging. 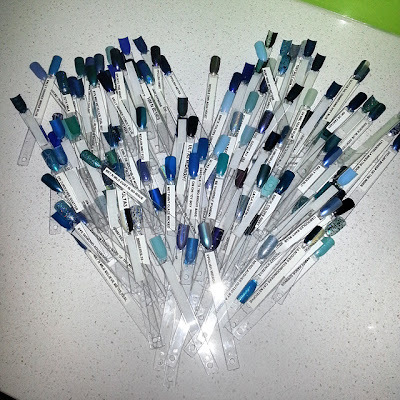 So many beautiful polishes to share! I think I'll start with 2 manis per post until I catch up, a current manicure and one from the backlog. 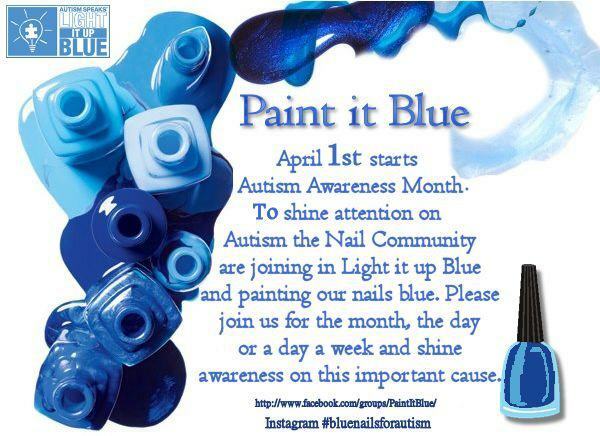 This month I'm going to be painting my nails blue for Autism Awareness Month. I don't know how often I'll manage it considering I often wear a polish for 5 days or more but I do have a lot of blues I can use. For the 1st of April I wore this. Nail Pattern Boldness - Bigger on the Inside with an accent nail of Loki's Lacquer - Allons-y. I thought they worked well together both in appearance and for the names/Doctor Who theme. I used 2 coats of Allons-y over 1 coat of Bigger on the Inside for underwear for my ring finger and 3 coats of Bigger on the Inside for the rest of the fingers. All topped with Out the Door top coat. Bigger on the Inside is a stunning deep blue jelly with silver micro glitter. Mine actually looks like a darker blue than other swatches I've seen. Mines a very similar base colour to Orly Royal Navy. I love the way the glitter shows through the layers of blue jelly and the top coat really brought out the sparkle. 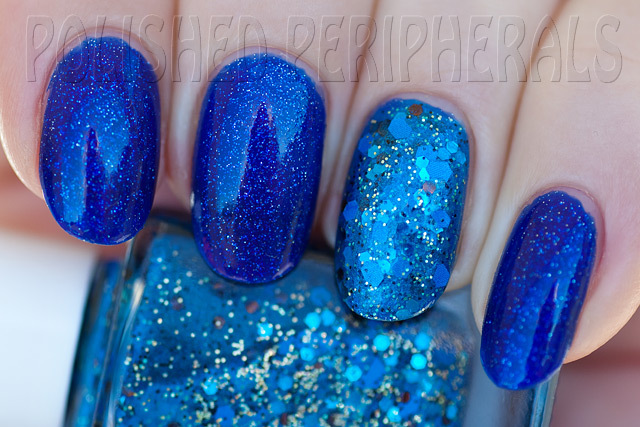 Allons-y is a brighter blue and it's jam packed with glitter in blue, brown, black and gold holo. The glitter is dense enough it can been worn without underwear but I layered it over Bigger on the Inside to get a darker blue edge. It's absolutely gorgeous and has an almost foil like shine. I get my Nail Pattern Boldness from Llarowe and Loki's Lacquer is available from Etsy but is currently closed for a short while. 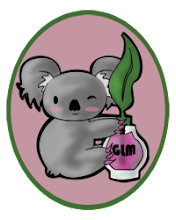 If you want to catch the store when they reopen you can follow on facebook for updates. Last weekend I wore this for Easter. Eggcentric Bunny from 365 Days of Color with an accent nail of British Paints Splice of Life. Yep that's right I painted my ring fingers with house paint. 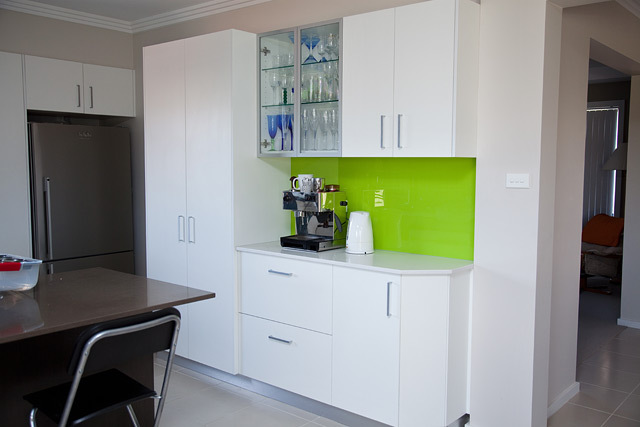 We just had a new kitchen extension finished and I chose a lime green glass splash back, the colour being British Paints Splice of Life, and I love it! Our kitchen carpenter/artist/wizard gave me a small pot of the paint and said 'you can paint your nails to match'. He was joking, I wasn't :) It wasn't an easy paint to use on my nails, a bit thick and gluggy and oil based. Shrinkage was a problem and it took ages to dry. I was going to add some nail art, a bunny or chicken, but it took so long to dry I ran out of time before the family gatherings started. These photos were taken after 3 days wear so there's a few chips. I used plain white underwear for Eggcentric Bunny but it actually looks better on it's own with 3 coats. I just wanted to try it with white this time. I added some dots using my Lime Crime polishes. Eggcentric Bunny was one of the special polishes from the 365 Days of Color www.365daysofcolorpolishes.com Easter Mystery Bags. I was lucky enough to get both of the special polishes in my bag as well as some amazingly scented cuticle oil and cuticle balm. The oil scent I got is Easter Garden and it reminds me a lot of Demeter Wet Garden. I love the little rolly applicator and the oil soaks right in. Oh and those new additions to the family I mentioned... here are my new boys, Spock (black and damn hard to photograph) and Data (ginger). Both RSPCA rescues. Nails are pretty, but I'm so in love with Spock and data. I recognize data from my lust have it entries, I had no idea he was yours, it looked like such a professional pick. Love their names too! I think your "sure can" accent nail is such a talking point and the kitchen looks wonderful. I do however have to say that your purrfection are those two wonderful additions to your family. 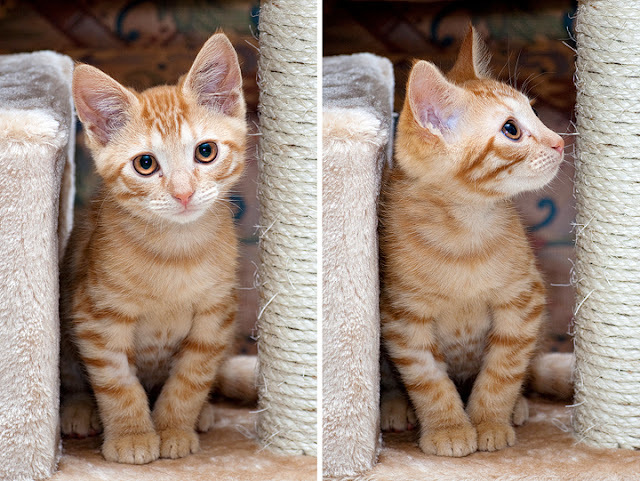 I am totally addicted to all cats and love them in all shapes and sizes but specially black ones and ginger ones! Gorgeous polishes!!! Love that you used paint haha. I've nominated you for a Liebster Award. I like the limegreen on your nails. Who knew paint would work on nails!